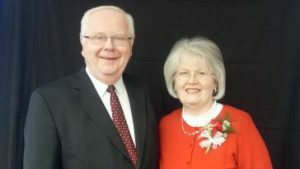 Darrell and Karen House came to Gospel Baptist in 1987 and served in many areas. In 1990, the Houses felt led of the Lord to enter full-time ministry have been serving faithfully ever since. Before his retirement in 2013, Pastor House served as the Assistant Pastor of the church and the Administrator of Gospel Baptist School. He now serves as Church Administrator, teaches an adult Bible class, and is song leader for the majority of church services. Mrs. House was church secretary for 13 years. She retired and later rejoined the staff part-time as special assistant to Pastor Royalty. In 2013, she retired along with her husband. Recently, Mrs. House stepped out of retirement to once again serve as church secretary. She is also a vital part of several ministries including music, nursery, ladies fellowship and nursing home efforts. The House's have four children and three grandchildren. Many people make Gospel Baptist the fine church it is today. We have a broad array of volunteers from CDL-licensed bus drivers, to deacons, Sunday school teachers, musicians, vocalists, nursery workers, cleaning staff, church photographer, sound booth technicians, website and Facebook coordinators, door greeters ... a veritable army of eager people willing to work together and serve the Lord. The good news? There's plenty of room for you! Plan to come soon and experience all Gospel Baptist Church has to offer!